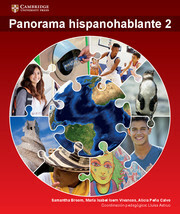 The Panorama Hispanohablante teacher's pack accompanies the Panorama Hispanohablante Student's Book and is designed to support teachers as they prepare their students for the ab initio Spanish course for the International Baccalaureatte Language B programme. 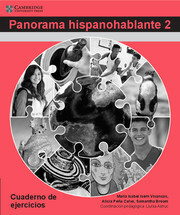 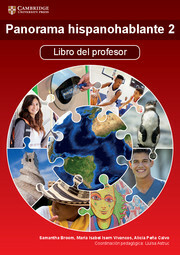 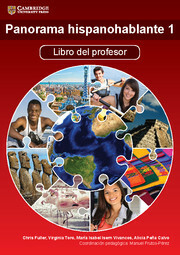 Panorama Hispanohablante 1: Libro del profesor contains a teacher's book with anwers to all the questions, pedagogical aims of each exercise, advice on lesson structure, examiner's tips, and a chapter on language games. 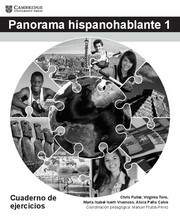 Audio files for the listening exercises in the student's book (in the CD-ROM), additional worksheets with extra examination practice, and a student glossary in French, Spanish and English are all also provided in the pack.